Data from: Does mixed-species flocking influence how birds respond to a gradient of land-use intensity? 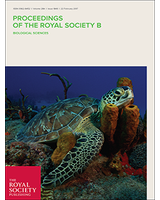 Includes all the bird species identified during the project, organized by family, and the following data: their scientific and English names, their distribution (country), their habitat, diet and weight from the literature, what analyses they are included in for the article in review at the Proceedings of the Royal Society B: Biological Sciences, the total number of sightings, the percentage seen inside protected forest, and the species’ detectability, as calculated by DISTANCE. This is a data table that includes the composition of all complete flocks (80-100% of individuals detected), and is organized by transects (see transect data). Note that mammals species are included in these records as well as bird species, and species are ordered by English name. Transect dataset. This Excel document lists all transects, their location, how much they were walked, and the number of flocks seen on them. The number of flocks includes incomplete flocks and is divided into Orange-billed Babbler (OBBA) led flocks and all other flocks, which are DISTANCE-adjusted to determine flock density.